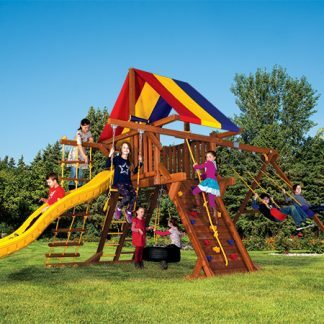 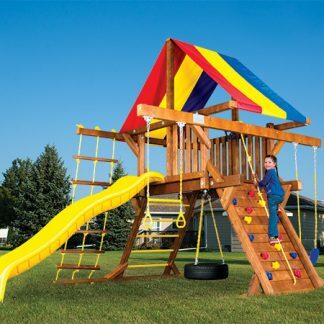 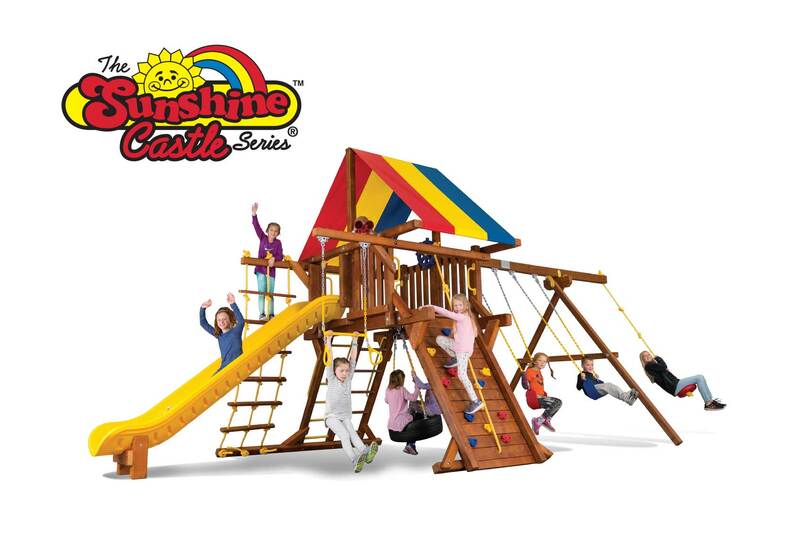 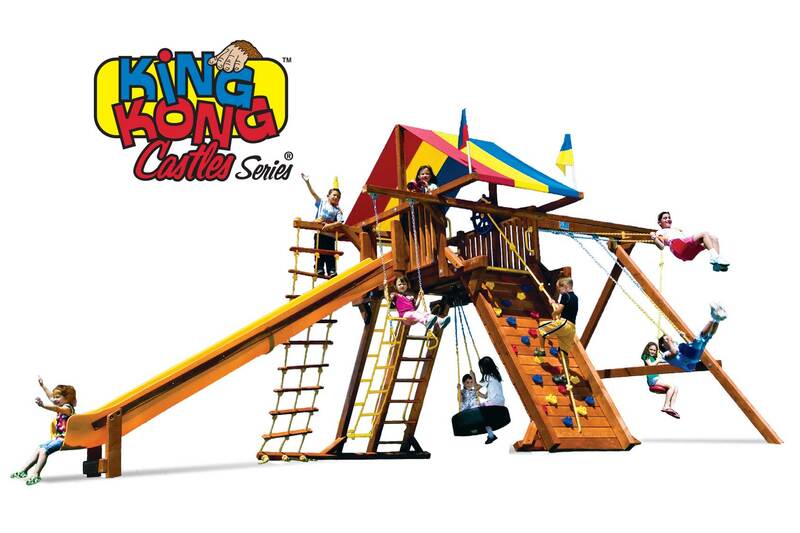 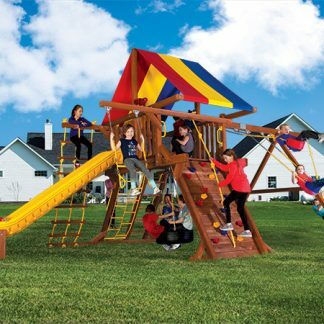 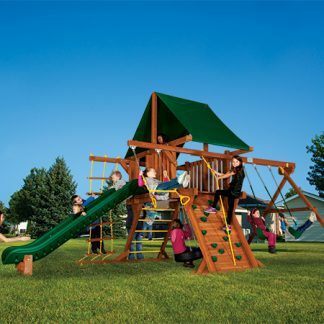 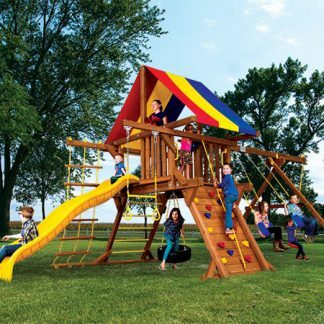 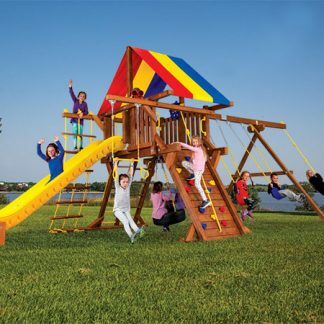 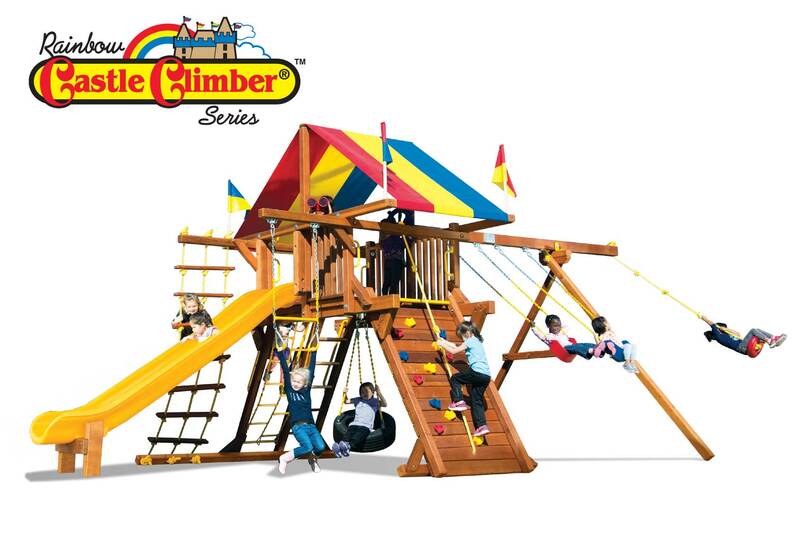 The Sunshine, Rainbow, and King Kong Castle Series swing sets are built to last. 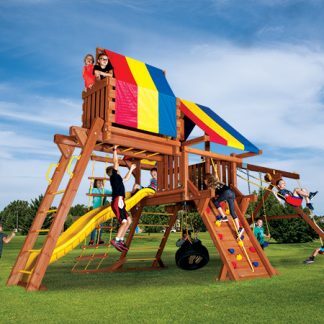 The deck boards & rails are about 50 percent thicker than those used on the Circus series sets. 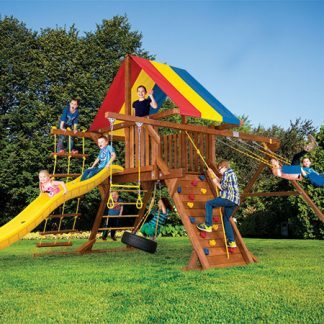 These three series also feature more deck headroom so children are comfortable playing in them longer. 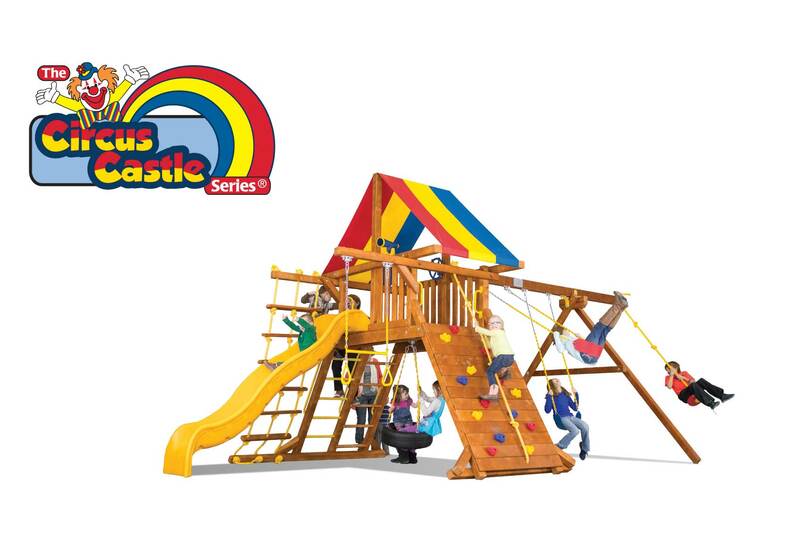 The Rainbow Castles are the best choice for an un-level yard.